I’m returning to this game after about 18 months out and catching up on some reading. One thing I notice immediately is that there appears to be more generous referral opportunities. I currently hold a BAPP (for @ 8months) and recently hit the £10k target for companion voucher. I have just referred my wife for a BAPP and received 9k referral bonus. Referrals from Amex Platinum (to any of the referred card options of any currency) are the most rewarding at 18k MRs. So its probably best that at any one point in time one of us holds a Platinum card and work out a schedule to refer and churn the others cards from that point. Subject to an annual limit of 5 referrals or 90k MR points. per calendar year, so best to hold over new year. Yeah the per calendar year is a big one! I had done my 5 last year and was going to cancel. Then I checked with Amex if it was a limit of 5 per year based on the card opening date or calendar year. Was very happy to discover it’s per calendar year! 180k of points in the space of a few weeks if you have enough friends to refer. OT – The hotel status you get with AMEX. Does it renew or is it a one off? My Radisson account is showing i will downgrade to Silver at the end of next month. Will AMEX upgrade me back to gold and is this automatic? Has always autorenewed for me OK. When did this happen? Should i expect it to lapse and then renew or not actually downgrade at all? With Radisson (and prev Club Carlson) I never dropped. Don’t use them much but excellent upgrade on redemption at Park Inn Oslo Airport earlier this week. Hey Rob I suggest you go back and change this booking immediately. Change it to First Class and I believe you might experience the very special First Class Lounge service Air France offers in Paris (if there’s time – make sure you get it). Plus wouldn’t we all want to hear about it? Air France does not allow redemption bookings in F.
Did you get the Stansted Emirates F suite Rob? 72 hours advance booking only, so I don’t find out until the day before I fly down. Got an Etihad J as back up. Yes they do, but you need to be FB elite. They used to for their own elite members? Top tier, I think, yes. “If you linked accounts prior to 15 July 2018, you’ll continue to earn and receive benefits with Your World Rewards™. Sad times as i really want to keep building up my emirates points. wish i still had my mbna emirates. Weirdly I got 554 Emirates miles dropped in my account during the SPG/Marriott IT crisis – even though I have never had Emirates status and therefore do not qualify for earning EK miles! The ps at the end was interesting and made me think – is there a resource where you could find which is the best program to use points for flying to certain locations? Eg to stop noobs like me dishing out 45k avios when I could go to the same place via a different scheme for 25k (assuming points equivalent) ! I would personally find this an absolutely invaluable tool! People have tried – not sure if there is a free one which is regularly updated though. Would EU261 cover if a less than 3 hours delay in the first flight, if this causes the connecting flight to be missed and a more than 3 hours delay to the final destination? Flight to Paris delayed in Rob’s case causing more than 3 hours delay in landing in Dubai? AIUI yes – I seem to recall this being clarified in the last year or two as it was initially thought not to be the case. so if initially not thought to be the case, it is now been clarified? Does that mean EU261 does cover the situation that Oli asked? Court of Appeal and was back in Oct 2017 so was right with my timescale! PS which does indeed look like it covers Oli’s case. It worked for us last March returning MAD-LHR-NCL. Departure from MAD was delayed by about 75 mins, but we therefore missed the last connection to NCL (the same happened to pax for GLA and EDI). After overnight in HIE T5 we were around 11 hours late into NCL. Got full compo – just over £700 for the two of us. I don’t think there was ever an issue within the EU, it was these ones that had connections outwith the EU that were more problematic. Yes @Olli it’s covered. Was recently-ish clarified that connections being late causing final destination to be reached too late, are covered by EU261. It’s delay to arrival at final destination that counts. Should all be on one ticket though, I believe. Definitely has to be one one ticket. Partially on-topic. Thinking of closing the Platinum card to reset the clock and have it again in the 2nd half of the year, but I would prefer to keep the MR points I have built up because of their flexibility. I’ve read previously they can be sent to a dollar card, but also that the MR transfer rates are worse with those. However, would it be possible to later transfer them back to a MR-based pound card, whether leaving the dollar card open (if possible) or closing it? Yes apparently it’s one transfer every 12 months. Don’t forget you may be better or worse off depending how exchange rate moves. Yeah was 1.5 USD:GBP when I first got the card – that made Krisflyer transfers amazing value! I would really like seeing more things about where to redeem my amex points/avios for cheaper flying to places like Asia and Middle East or South America, where a stopover isn’t so bad. I did not know the information about Singapore miles so that really helps to keep in mind for the future. Here is a big tip. From much of Germany and other countries nearby, flights to Doha on Qatar Airways drop into the cheaper Avios pricing bucket. One-way in Business is 37,500 peak instead of 60,000 peak. There can be a saving in flying to Germany for cash, picking up Qatar there for 37,500 Avios and then getting a connection from Doha to Asia. The classic one used to be finding frequent schemes which treat Russia as Europe. The deepest darkest far corners of Russia are a short hop to Japan so you could fly to the far eastern corner of Russia for the same miles as London to Paris and then get a peanuts regional flight to Tokyo. No idea if this is still possible or not with anyone. I gather the old BMI scheme was a treasure trove of those! I always love it when some of you who were in it then, talk about some of the greatest ones! A shame I came to this field of interest too late. I think treating Guam as America may have been another one. think that got closed a few years ago though. Guam as in being close to lots of Asia. Wish I’d been around in some of those glory days. Check the aircraft they have on the route before you book as some routes have A321’s with a different variation of business class. Another great sweet spot is DOH-SOF. Only 20k Avios. The second daily flight leaves at 10:30pm, so you might be able to position on the same day and it’s sub 5h flight. Also to add to the 37.5k pricing DOH-ZAG. Taxes are also much lower from most of these airports. Thanks guys for the reply, will definitely check it out. From Cardiff where I live it is actually cheap to get to some of the places Russ said with flybe, around 60 return or sometimes even lower. For South America keep an eye on Iberia. They have regular % off points sales once or twice a year and some South American destinations usually come up. Bear in mind some of the posters’ comments on here about dealing with Iberia if anything gets sticky, though. Sorry I’m just adding a problem to a random thread. Unlikely, they should all flow to BA when confirmed. I’ve sent in some claims and see what’s gonna happen. we are talking about some 30kish avios here….. they are all shown as pending and my BA account didnt show them. Hotels take forever to credit. Even on pre-pay rates they won’t credit until 90-120 days after the end of your stay. Little OT, I have the platinum card and no other Amex ( but Have Lloyds Avios Amex). Got around 50k mpoints and 50k avios from other sources. I am planning to increase the Avios balance and I am thinking of either applying for the BAPP/SPG, which is the best one to get first? + How does one self refer? Just enter your normal details after clicking on the referral link? BAPP for 26k sign up (SPG only equivalent to 11k avios). Then decide if you need 241. For self referral enter details after clicking on referral link, yes. Very good article. I didn’t know these options existed. I’ve got a BA Executive Club account, Virgin MIles, and AMEX MR. 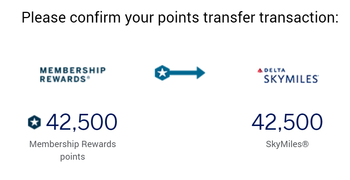 It sounds like to be able to transfer I should open loyalty accounts with a few other airlines? Or should I just open one with one Sky Team airline? If I were you I’d concentrate on a small number. 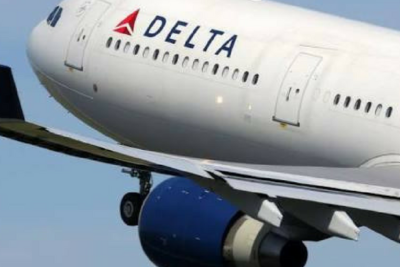 Often there are expiry dates on airline reward schemes and you risk losing miles. I think that, unless you travel significantly with a certain alliance, it’s really hard to run up a large balance in the UK in airline schemes other than avios and virgin. Sounds sensible. With Virgin linking up with KLM etc I will have more international reach, BA is good for flights in Europe, and AMEX for everything else. Awardhacker looks like a simpe way of getting an idea of what else is possible for a reward flight. Being a complete newbie to the points game, at the end of the article it refers to a Singapore Airlines business flight one way to middle east for 25,000 Amex point, maybe a daft question but how do I book this ? I have Amex and enrolled in KrisFlyer but can’t find relevant flights to book. Use the KrisFlyer redemption site to search for a flight to the Middle East in Business – it will offer you Lufthansa, Swiss, Turkish or Egyptian for 25,000 miles each way plus tax.